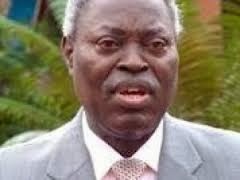 Those were his words from the podium during the church’s Annual National Convention, on December 21.Thinking of the fact that this man went to the same school as my mom (Mayflower Secondary School, Ikene)in the 50s, which Pastor Okonkwo of TREM also attended, it makes me wonder if he maybe he has a hidden agenda. These men went to Tai Solarin’s school, who was an atheist and thought his students to be self reliant, free of dependence on a God or religion of any sort. It’s funny that 2 pastors of big churches in Nigeria came out of that School. Anyway, before I digress from the topic at hand, I should say that I still feel he shouldn't have said what he said about Christmas. 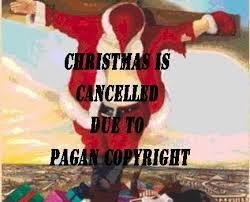 The thing is that it is not only the celebration of Christmas that early Christians borrowed from the Pagans. The fact is that in those days, you were either a Jew or a Pagan. Most Pagans didn't want to convert to Christianity, so the Roman power at the time adopted and adapted Pagan traditions and holidays into the Christian religion, to make the Pagans more comfortable crossing over. Easter celebration too is from an idolatrous background. Ishtar, which Easter was coined from, was a Babylonian and Assyrian idol goddess. Ishtar was in fact primarily identified as Venus, the most beautiful of Celestial objects, and from the terrestrials side, the primary motive of the worship of Ishtar was the impulse to deify sensuality. December 25, which is marked as Jesus birthday is also of Pagan origin. Horus, the mythical Egyptian god that was worshiped in Egypt and its environs around 3000 BC, was said to have been born around the time of the Winter Solstice- December 25. This is the day when sun gods of many pre-christian cultures were said to have been born, as it is the shortest day of the year , and thus signifies LIGHT OVERCOMING DARKNESS. As i said earlier, these are very delicate issues that can affect the belief of any Christian, so maybe they should have been left alone...he shouldn't have given the reason why they don’t celebrate Christmas in his church. Cos, if he can agree to the fact that Jesus wasn't born on December 25th, then there are a lot other theories that have been laid forward in the past challenging authenticity of some christian doctrines that can be dug up again.